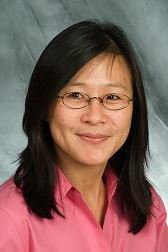 Lillian Sung, MD, PhD – Dr. Lillian Sung is an Associate Professor and Scientist at The Hospital for Sick Children,Toronto,Ontario,Canada. She is certified in the specialties of pediatrics, infectious diseases, hematology and clinical investigation. She also completed a PhD in Clinical Epidemiology from the University of Toronto in 2004. Since her faculty appointment, she has developed a clinical research program focused on supportive care for children with cancer. Her methodological focus is on randomized and observational trials, meta-analysis, and patient-reported outcomes. She is the principal investigator on multiple operating grants from the National Institutes of Health (NIH), Canadian Cancer Society Research Institute and the Canadian Institutes of Health Research. Dr. Sung is the Chair of Cancer Control and Supportive Care in the Children’s Oncology Group (COG). COG is the largest pediatric cancer clinical trial consortium which includes 200 member institutions. During her leadership, she has overseen the development and activation of 9 large multi-national randomized controlled trials in pediatric cancer supportive care, and has obtained approximately 8 million dollars in funding to support these studies. These grants include 3 NIH R01s, 4 NIH BIQSFP awards and 1 CCOP Supplemental Award. She is the co-PI on the submitted NCI Community Oncology Research Program (NCORP) grant which will support the Cancer Control and Supportive Care program in COG. Dr. Sung is also the co-PI on an NIH R25 grant to support the Clinical Research Training Institute, sponsored by the American Society of Hematology. She has developed internationally-endorsed guidelines such as for the management of pediatric fever and neutropenia. Deborah Tomlinson, RN, MN – Deborah Tomlinson is a Clinical Research Nurse Coordinator, working with Dr. Lillian Sung since 2004. Obtaining her nurse education in the UK, she completed a Master’s Degree in Cancer Nursing at the University of Glasgow. Her current position has included several research projects that have focused on decision-making for parents with a child in a palliative phase of disease and development of an instrument to measure oral mucositis in children receiving cytotoxic therapy.